Can you guess what this photo is? This photo was taken backstage at the historic Ohio Theater in Playhouse Square. These ropes are stretching toward a light at the top of the theater. 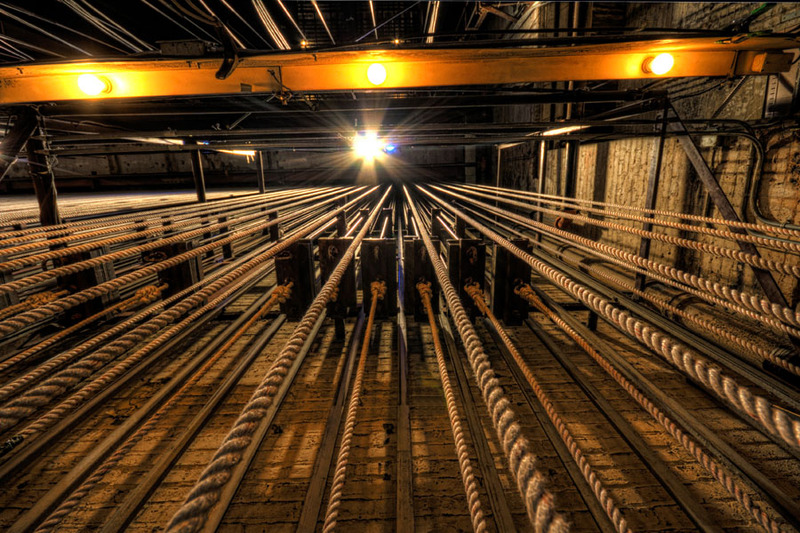 The ropes control some of the curtains and effects in the theater. I just thought it was kind of a cool angle and now you can say you know all the ropes when it comes to the theater. 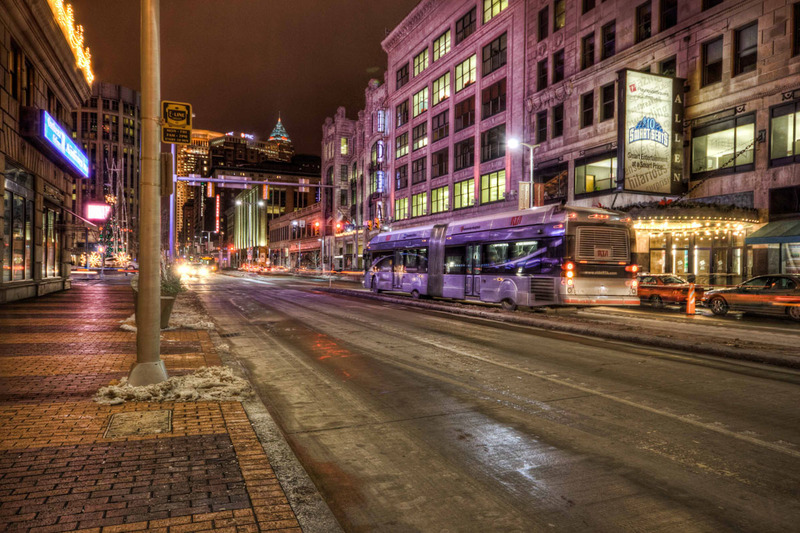 Today’s photo is of a cold evening on Euclid Ave. in the Theater District. On the right you can see the sign for the newly renovated Allen Theater and the Idea Center. 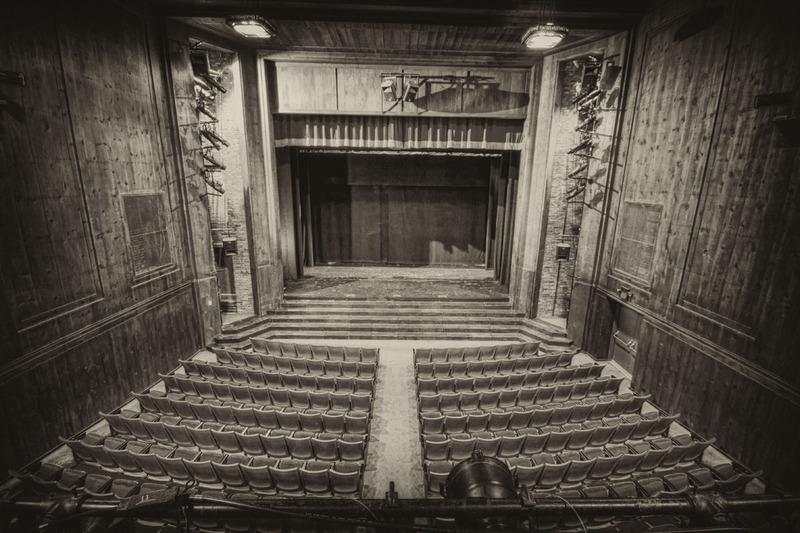 The Drury Theater is part of the old Cleveland Play House Complex. 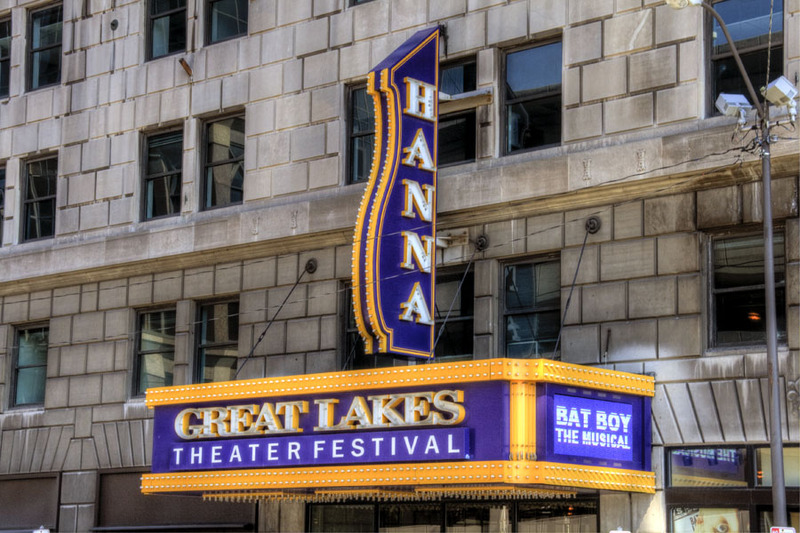 Founded in 1915, Cleveland Play House is America’s first permanently established professional theatre company. 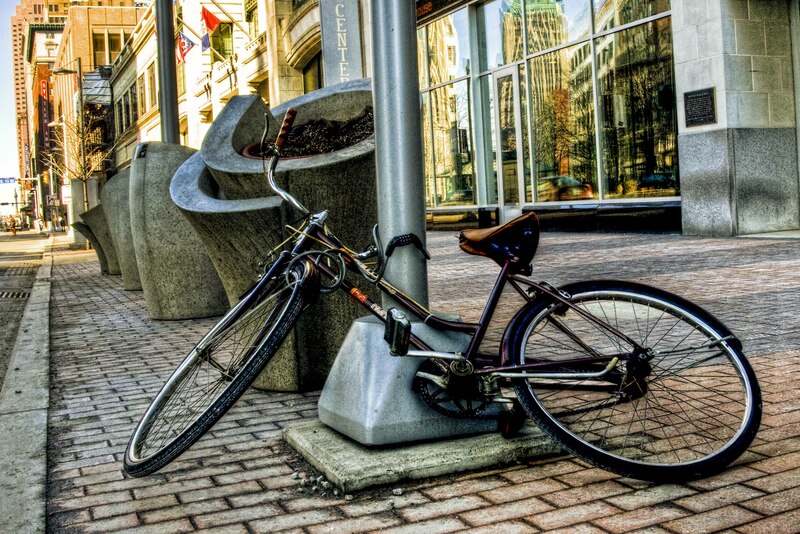 Great Lakes Touring Co. is Northeast Ohio’s premier source for custom bicycle tours and excursions. The company aims to bringing fitness, fun and adventure together on Cleveland-area bicycle trails, while promoting interest in regional tourism and history. Tours of Northeast Ohio communities, the 55,000-acre Cleveland MetroParks and the Cuyahoga Valley National Park are available throughout the year for riders of all experience levels from beginner to expert cyclist. Great Lakes Touring Co. offers corporate team building events, gym alternatives and birthday party packages. 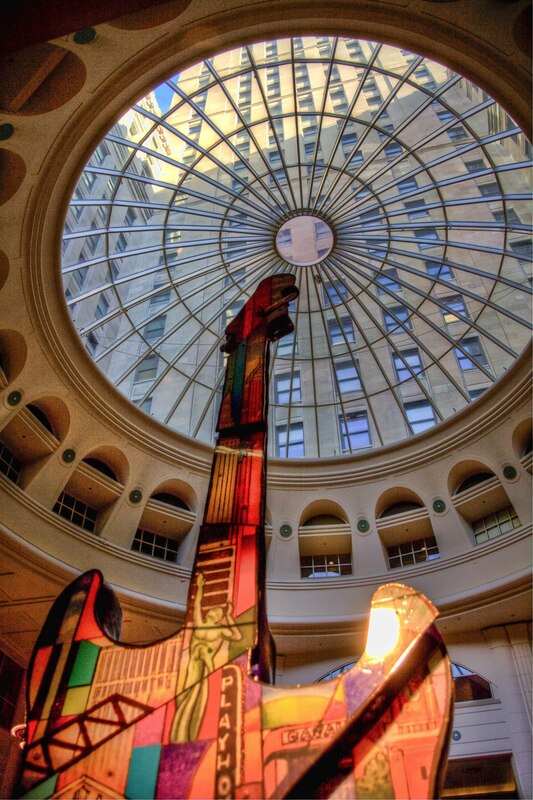 Guitar Mania® is a Greater Cleveland community public art project that has raised $2 million for its two benefiting charities – United Way of Greater Cleveland and the Rock and Roll Hall of Fame and Museum’s education programs. The project consists of large, 10-ft-tall Fender® Stratocaster® guitars creatively transformed into works of art by local artists and national celebrities. The guitars are displayed on the city streets of Cleveland for residents and visitors to enjoy from the end of May through October, 2012. Corporations, organizations and individuals sponsor the guitars and select from a variety of local artists to paint, sculpt or decorate them. Celebrity artists also paint and decorate guitars. 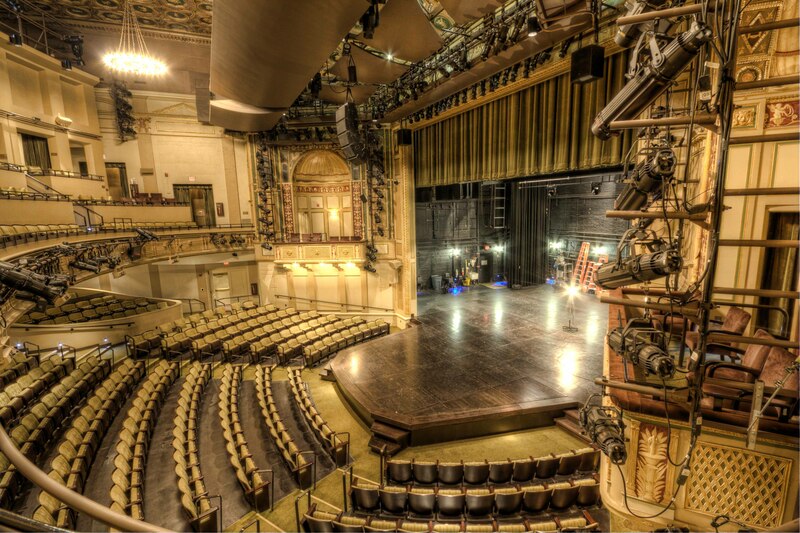 Founded in 1915, Cleveland Play House is America’s first regional theatre. 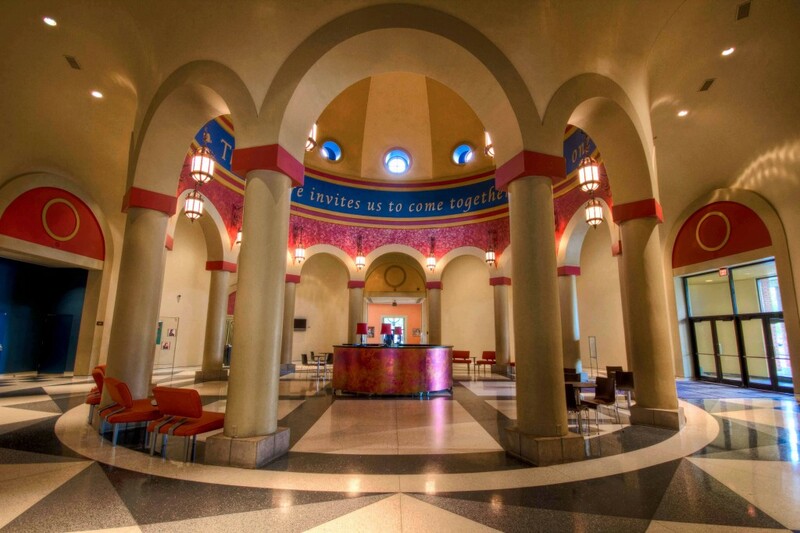 More than 12 million people have attended over 1,300 productions at Cleveland Play House including more than 130 American and/or World Premieres. Today, under the leadership of Artistic Director Michael Bloom and Managing Director Kevin Moore, Cleveland Play House is an artist-driven theatre that serves the Greater Cleveland community by holding true to its mission: To inspire, stimulate and entertain diverse audiences in Northeast Ohio by producing plays and theatre education programs of the highest professional standards. 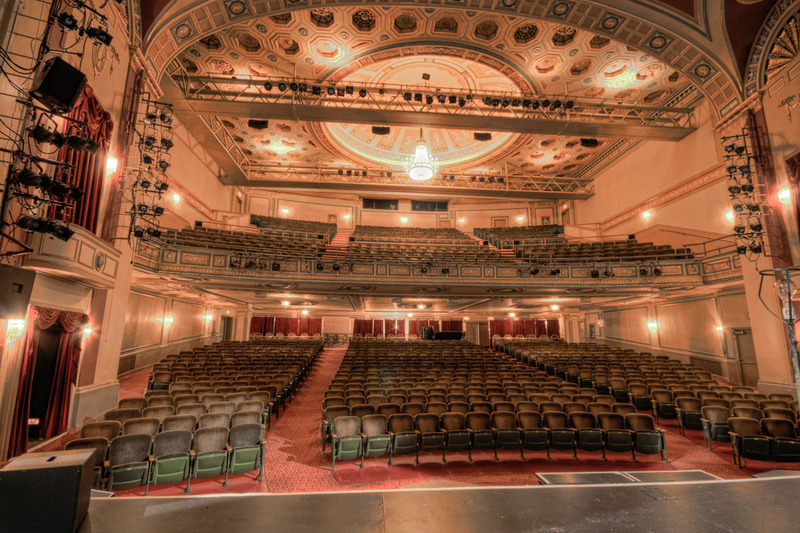 This year the Cleveland Playhouse will move operations to the Allen Theatre in Playhouse Square Center.